Two cameras for FaceTime and HD video recording. The dual-core A5 chip. The same 10-hour battery life. All in a thinner, lighter design. Now iPad is even more amazing. And even less like anything else.Thinner, lighter, and full of great ideas.Once you pick up iPad 2, it'll be hard to put down. That's the idea behind the all-new design. It's 33 percent thinner and up to 15 percent lighter, so it feels even more comfortable in your hands. And it makes surfing the web, checking email, watching movies, and reading books so natural, you might forget there's incredible technology under your fingers.Dual-core A5 chip. It's fast, times two.Two powerful cores in one A5 chip mean iPad can do twice the work at once. You'll notice the difference when you're surfing the web, watching movies, making FaceTime video calls, gaming, and going from app to app to app. Multitasking is smoother, apps load faster, and everything just works better. Go, gamers, go. With up to nine times the graphics performance, gameplay on iPad is even smoother and more realistic. And faster graphics help apps perform better%26nbsp; especially those with video. You?ll see it when you?re scrolling through your photo library, editing video with iMovie, and viewing animations in Keynote.Battery life keeps on going. So you can, too. Even with the new thinner and lighter design, iPad has the same amazing 10-hour battery life. That's enough juice for one flight across the ocean, or one movie-watching all-nighter, or a week?s commute across town. The power-efficient A5 chip and iOS keep battery life from fading away, so you can get carried away. Two cameras. And a big hello to FaceTime for iPad. You'll see two cameras on iPad, one on the front and one on the back. They may be tiny, but they're a big deal. They're designed for FaceTime video calling, and they work together so you can talk to your favorite people and see them smile and laugh back at you. The front camera puts you and your friend face-to-face. Switch to the back camera during your video call to share where you are, who you're with, or what's going on around you. When you're not using FaceTime, let the back camera roll if you see something movie-worthy. It's HD, so whatever you shoot is a mini-masterpiece. And you can take wacky snapshots in Photo Booth. It's the most fun a face can have. The view is amazing.iPad is one big, beautiful display, 9.7 inches of high-resolution photos, movies, web pages, books, and more. LED back-lighting makes everything you see remarkably crisp, vivid, and bright. Even in places with low light, like an airplane. And there's no wrong way to hold iPad. It's designed to show off everything in portrait and landscape, so with every turn (even upside down), the display adjusts to fit. Because it uses a display technology called IPS (in-plane switching), it has a wide, 178" viewing angle. Hold it up to someone across the room, or share it with someone sitting next to you, and everyone gets a brilliant view. Everything's at your fingertips.Technology is at its best when it feels completely natural, almost like there's no technology at all. That's Multi-Touch on iPad. You use your fingers to do everything, so everything you do, surfing the web, typing email, reading books, and swiping through photos, is easier and a lot more fun. How does it work? When your fingers touch the display, it senses them using electrical fields. Then it instantly transforms your taps, swipes, pinches, and flicks into lifelike actions. Just like that.iOS 4. The world's most advanced mobile operating system.iOS 4 is the operating system for iPad (along with iPhone and iPod touch). It lets you browse, read, and see everything just by touching the screen. It includes all the powerful, innovative, and fun built-in apps you use every day, many times a day. And it's the platform on which more than 65,000 other amazing apps have been created for iPad. It's highly secure, stable, and responsive, and it's made to work seamlessly with the iPad hardware. iOS 4 is the reason no other device has yet come close to iPad. 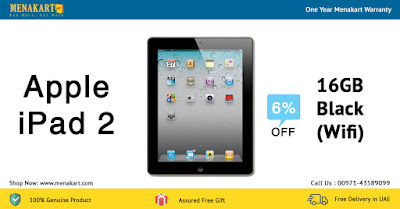 The fun starts fast.Pick up your iPad, press the Home button, and it wakes from sleep instantly. That?s because iPad features fast, efficient, and reliable flash storage that lets you access data quickly. So everything effortlessly springs to life.Wi-Fi and 3G. Two great ways to stay connected .Every iPad is built with advanced 802.11n wireless technology. It automatically finds Wi-Fi networks, which you can join with a few taps. So if you're somewhere without Wi-Fi, such as outdoors on a camping trip or on the road, you can still surf the web, check email, or get directions.Gyro, accelerometer, and compass. iPad knows your every move.With the built-in accelerometer, you can rotate iPad to portrait or landscape, or even upside down, and whatever you're watching, reading, or seeing adjusts to fit the display. And now the accelerometer, three-axis gyroscope, and compass all work together. They sense which direction iPad is heading and how it.s moving. So games, maps, and other apps know your every twist, turn, tilt, and 360. It's an epic win for gaming. And it's just the beginning of better-than-ever iPad apps. Your movie-photo-music stream.All the great stuff on your iPad, your music, photos, and video , can now stream wirelessly to your HDTV and speakers via AirPlay-enabled speakers or Apple TV on a Wi-Fi network. With just a tap on the AirPlay icon, blast some tunes, have a movie night, show off some photos, or watch YouTube. And go big.Video mirroring. What you do is what they see.Video mirroring is new for iPad and for every app, web page, presentation, video, movie, or photo you want to show a big audience. Print everything wirelessly.Print your email, photos, web pages, and documents right from your iPad over Wi-Fi. There's no software to download, no drivers to install, and no cables to connect. With just a few taps, you can go from viewing something on the iPad screen to holding a printed copy.